Picket Fence Publications: Pre-Order Now! 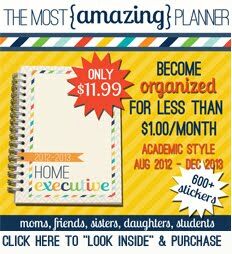 The day has arrived to pre-order the 2013/2014 Home Executive Day Planner! Please click on the image below to be taken to my publisher's website. I hope you have a WONDERFUL day! 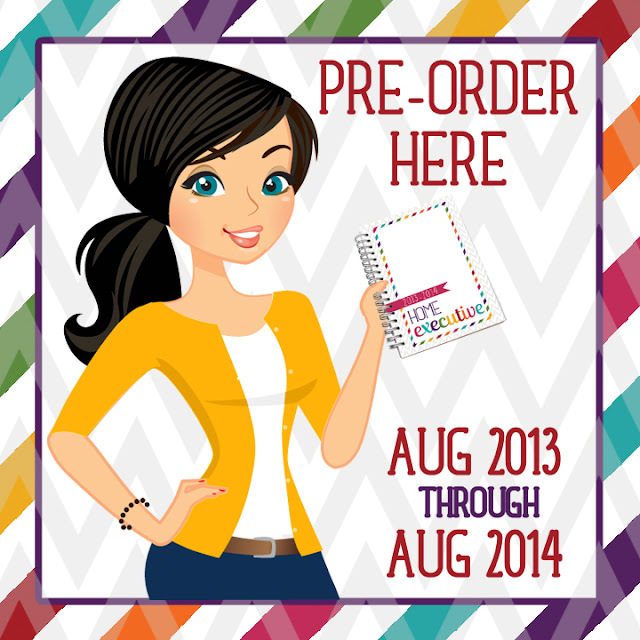 This year's planner has brighter colors, new recipes, and a page of fun stickers. If you have any questions please contact me above. The planner is about 5 weeks out. They should arrive in the warehouse around July 15th and be ready to ship shortly after that. Thanks for pre-ordering! 1 comments on "Pre-Order Now!" Do you ship internationally? I'm in Australia?